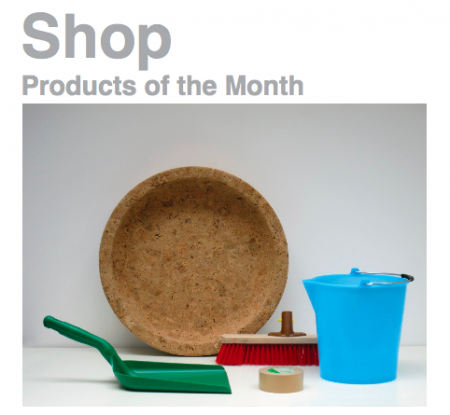 Shop by Jasper Morrison just put up the products of the month. This time a cork bowl, a dustpan, an outdoor brush, a brown tape and a bucket. 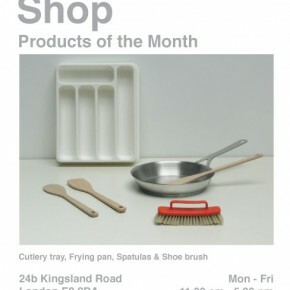 The Shop which is situated in one part of the Jasper Morrison studio is worth a visit next time you are in London. As simple and straight forward as you can imagine with its wooden shelves and carefully selected assortment. The Shop address is 24b Kingsland Road.